Eye chakra pendant is a collection of seven chakra gemstones, which represent human body chakras. The stones are arranged in exactly the same order as their corresponding body chakras. These stones will open and cleanse the chakras and remove any negative energy. 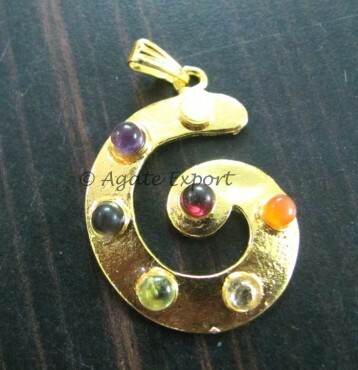 You can get this pendant on Agate Export at a reasonable price.